Based in Fareham, Hants, Tirius has been built on pioneering work on an all-electric single seat racing car and a series of record breaking vehicles. It continues to bring the latest technology to clients in the form of product design and development and the provision of its range of electric drive systems. The research involves running each motor on a test rig through its full output range and mapping its torque output at many points to build up a performance profile. The design of the controller can then be matched to the motor characteristics. This should be able to ensure that the motor runs in its optimum operating zone as much as possible, maximises motor life and regenerative braking, minimising wear, and is as energy efficient as possible. The design of the test rig is in fact quite simple, thanks to the torque sensor, a TorqSense, as made by Sensor Technology in Banbury. â€œWe are pleased to promote TorqSense and the guys at Sensor Technology,â€ says Tim. â€œWe have been using their kit for many years and in many different roles. The bottom line is that they are easy to use, accurate and great value - partly because they can be re-used once their original project has been completed. TorqSense is a good choice for this work because its non-contact operation allows rapid set-up during the profile building test runs. It also means extra drag forces are not added to the system, so measurements represent true values and calculations are therefore straightforward. 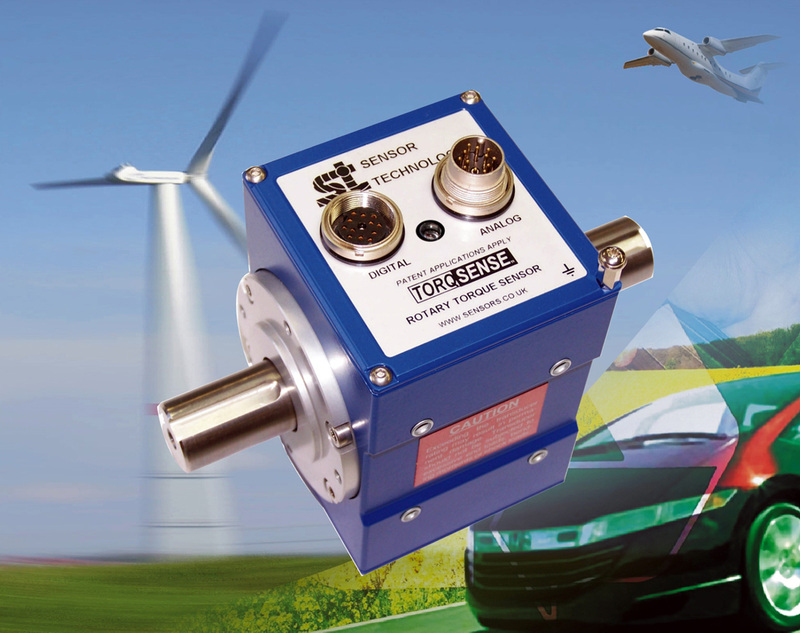 TorqSense uses two piezo-electric combs which are simply glued to the drive shaft at right angles to one another. As the shaft turns it naturally twists along its length very slightly and in proportion to the torque, which deforms the combs changing their piezo-signature. This change is measured wirelessly by a radio frequency pick up and is a measure of the instantaneous torque value. Its data is output to a very user-friendly computer screen which uses graphics to aid easy interpretations. In fact the display on the computer is similar to a car's dashboard, so most people understand it intuitively. Further, the data is automatically logged for further analysis.